The conflict with political radicals that took one man's life sits heavy with Jason. Accusations that, by continuing to be the superhero the American, he's become a pawn for the government have taken on a new sharpness as the Civil Rights movement of the 1970s gains an added urgency. This call to do what's right is one that his former ally Amber Waves has already answered by taking matters into her own hands and using her powers to protest injustice-and she's already paying the deadly cost as the police and Federal agents attack her where she lives. 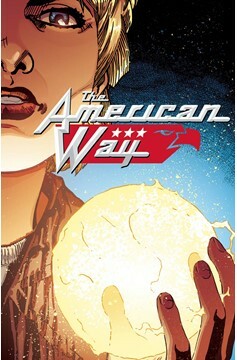 The sequel to the hit comics series continues, crafted by writer John Ridley (TV's American Crime and Guerrilla)..